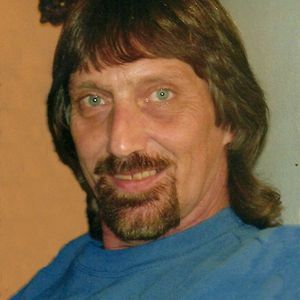 Ronnie "Ron" Menestrina, 60, of Anderson, passed away, April 6, 2019. Ronnie was born January 10, 1959, and was a lifelong resident of Anderson and a graduate of Madison Heights. Ronnie was dedicated to the care of his Mitzi, and truly devoted to his wife,Dawn for 16 years. Dawn and Ron enjoyed spending time at their camper with their very close friends, listening to music, having bonfires, fishing, and going to concerts. Ronnie was preceded in death by his father, Harry Menestrina; sister-in-law, Nataliya Menestrina; and an uncle, Bruno Tanda. Visitation for family and friends will be 4-8 p.m. Friday at Brown-Butz-Diedring Funeral Service & Crematory. A Mass of Christian Burial will be 11:00 a.m. Saturday at St Ambrose Catholic Church, with Father Shine officiating. Add your thoughts, prayers or a condolence to Ronnie's guestbook.